Washington is pushing Venezuela towards a “civil war” because it wants access to the country’s rich oil reserves, Bolivian President Evo Morales has warned. 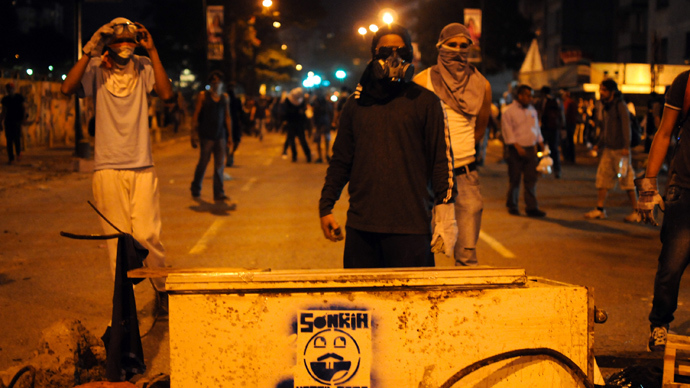 The Venezuelan government has also accused the US of fomenting a coup d’état. Addressing over 3,000 young people at a Latin American Youth Summit in the Bolivian city of Santa Cruz, Morales branded the US an “empire” with its eye on Venezuelan oil wealth. Morales said that Venezuelan President Nicolas Maduro was blameless in the recent wave of unrest in the country and accused Washington of orchestrating a civil war. The world needs an “anti-imperialist, anti-capitalist and anti-colonial youth,” said Morales, urging Latin Americans to stand together in solidarity with Venezuela. Morales said there was no danger of a coup d’état in Bolivia since the government had ejected US Ambassador Phillip Golberg in 2008 after he was accused of collaborating in a plot to overthrow the government. 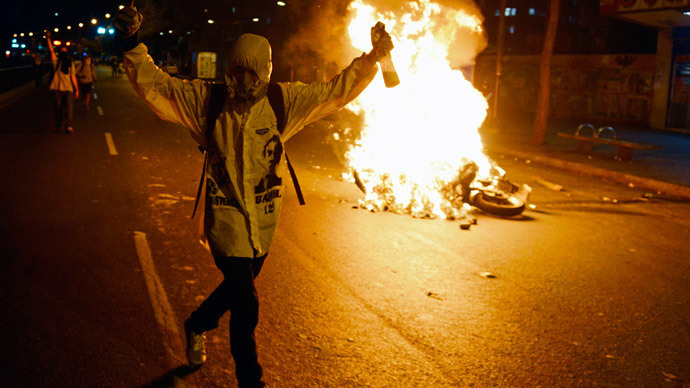 Venezuela has been gripped by a wave of anti-government protests since February which has left at least 41 dead and over 600 injured. The Venezuelan government has recognized people’s right to demonstrate, but has accused foreign-backed, right-wing extremists of hijacking the protests in an attempt to oust Maduro. At present, the Maduro government is in dialogue with some of the members of the opposition movement to try and find a peaceful solution to the conflict. The opponents of the government complain that Venezuela is experiencing massive inflation and shortages of basic food products, as well as frequent power cuts. 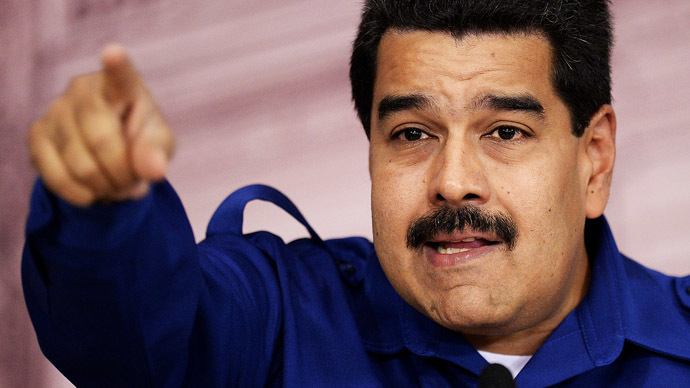 Maduro announced last week that Venezuela was facing an “economic war” and as such his government intended to fight back with a new “offensive” to combat capitalism. He set out the main aims of the new initiative on Monday, including the encouragement of supply and production and the stabilization of prices in Venezuela. “This new economic offensive should bring prosperity to the people and the country. Neoliberalism speaks of growth, but growth for whom? For those that always had wealth, not the have-nots,” Maduro said. Maduro has previously blamed the strife in Venezuela on Washington, saying that the US is orchestrating the unrest with a view to overthrowing his government. In March, Caracas’s foreign minister, Elias Jaua, accused US Secretary of State John Kerry of inciting murder and violence in Venezuela. 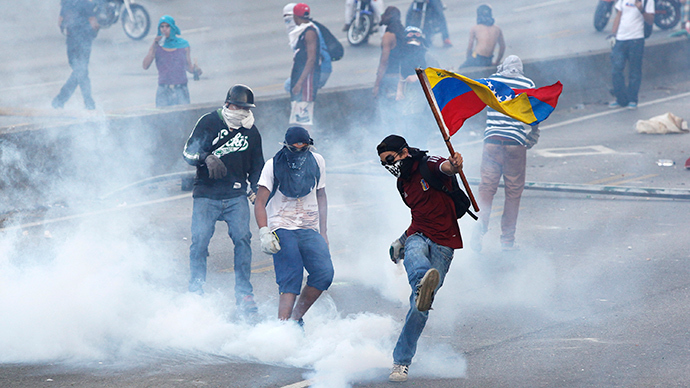 Washington has denied any links to the ongoing unrest and maintains the Venezuelan government is terrorizing its own people.